The USHPA is made up of all of us who choose to participate, a group of people who believe it's in our interest to act as one. Apparently, most of us believe that those we elected are doing a pretty good job, otherwise, we'd be flocking to another organization that does more than offer a forum for the disenfranchised. Just as enough of those members (in our area) once thought it was in their best interest to find a new representative and acted upon that, I would posit that most members familiar with this issue (all members at the time of the expulsion were notified) find no good reason to support a change in the status quo. However, you continue to attack Ken Andrews as if only your interest matters. I for one, would not vote for Ken again, if he decided to unilaterally take up this issue. My guess is that he's not fielding a lot of requests from members in your favor. He's too moral to accept his responsibilities as our director and not act on our wishes, if we made them known. 3) are ignorant of your plight. Have you considered why the first two could possibly be true, after all that you have self-documented? I believe a professional public relations entity would be your best course of action, rather than continuing to fill our small club's forum with stale reminders off how awful we've all (USHPA members) treated you. Bob Kuczewski wrote: How familiar are you with the facts in the case? 1. That I started the U.S. Hawks. 2. That I spoke to my city council. 3. That I testified in a court case. 4. That I interfered with Torrey Pines flight operations. Are those the reasons that you feel justify my expulsion from USHPA? They did that in your name. How certain are you that it was justified? There's a lesson to be learned from the Salem Witch Trials and from Nazi Germany. A small group of people can lead a large group of sheeple down some very dark paths. I asked you those questions to decide whether you're an independent thinker or a blind follower. I think you've answered that for me. Thanks. As for Ken, he volunteered for the job. He also knows very well that my expulsion was unjustified. But just like you he has to try to convince himself that it was deserved to relieve his guilt of inaction. It's psychology 101, and USHPA has played you both like fiddles. Now neither of you can answer simple questions about justice and injustice because you've backed yourselves into corners that you can't escape. You're forced to make blanket statements like "members who ... don't support your behavior" without the ability to cite any specific behavoir. You cite USHPA's one-sided letter, but why didn't USHPA distribute my defense to everyone? You know the answer, but you don't like it. This battlefield assessment is brought to you by "Bud Select 55" because I lost 25 lbs over 3 months drinking the stuff and can now fly a sport 3 155. BOB, of all the directors that voted to expel you very few are left in their elected position. Let me know of any corrections. Region 3: Corey Caffrey Absent ???? he voted yes???? xRegion 8: Michael Holmes Yes gone?? Region 10: Matt Taber Absent ?????????? xRegion 10: Bruce Weaver Yes gone??? are these the remaining bod that voted against you? Your post nicely reflects your perceptive nature ... right down to Tiki Mashi's vote. Nice job!! We don't like Bob testifying in court, right? We don't like Bob speaking to his City Council, right? We don't like Bob starting the U.S. Hawks, right? So how does expelling him keep him from doing any of those things? Bob's been speaking to the City Council about Torrey since 2008. It's now 2015. Is there an SOP against this? If not, have we ever even warned Bob that he can't speak to his City Council in all those years? Not once? And where's the SOP against starting other hang gliding associations? Didn't Bob start the U.S. Hawks way back in 2010? And haven't we known about it all this time? And since it's not in our SOP's, how was Bob supposed to know he'd be expelled for it? And how many warnings did we issue to let Bob know that he couldn't create an alternate hang gliding association in those 5 years? None?!? And now we're suddenly expelling him? Really?? But Mark Forbes and Tim Herr and several other members of USHPA's "rotten core" wouldn't have any of it. Mark shut down Tiki's objections and there wasn't another Director with a backbone in the boardroom. Human beings are designed to go along with the majority. In tribal cultures, being an outcast meant certain death. That's why people instinctively avoid going against the majority ... especially an angry majority. And USHPA was angry. They'd just had there tail handed to them in a court case where I had documented written evidence of me warning them about an incident in 2010 that foreshadowed the 2011 Hamby accident nearly perfectly. If you know anything about psychology, you'll know that some people get extra mad when they know they're in the wrong. That was the USHPA Board in the spring of 2015. With those thoughts in mind, I give Tiki a lot of credit for speaking up. If one other Director had found the courage to back her up there might have been a different outcome. Sadly, there wasn't, and that reflects the "go along to get along" nature of USHPA's board. My outspoken calls for things like open voting and due process were no fit for that crew. Like oil and water. I've been criticized for being hard on Ken Andrews. But the reality is that I was very hopeful that he would speak up and rally support from other Directors (like Tiki). I waited patiently during the early part of Ken's term, but he's slowly been "assimilated" into the Borg of USHPA. I can't wait forever. Breaking USHPA's monopoly at Dockweiler last year was just a first step. Other sites are being planned for 2018 and 2019. In some ways my expulsion has been one of USHPA's biggest blunders. And Ken is failing his duty as a Director (in many ways) by not having the backbone to fix it. Thanks for posting the voting record Doug. It's a nice reminder of why we're building an alternative to USHPA. I looked to see who survived the onslaught and what "sheild-generator" they used. Jugdeep Aggarwal says on his flight blog that he is "DRAMA FREE". This crashed my "AI" what does it mean? Is Drama free the future of Ushpa? If BobK signed a pledge to "Remain drama free while he is on probation after his membership is restored" would Jugdeep vote to restore him so we all could avoid future drama? Maybe Jugdeep is a New World Man. He has a pair of special sunglasses. Some animated hang glider flying in this video half way into it. Doug wrote: BOB, of all the directors that voted to expel you very few are left in their elected position. It's too late. This month will be 3 years. All the ratings I earned through Joe Greblo and Rob McKenzie and Ken Baier will vanish in a few weeks. There's a special place in you know where for Regional Directors like Ken Andrews and Alan Crouse who sat by and did nothing for over 2 years of that time. And Ken Andrews also watched the Torrey Hawks chapter not be renewed on his watch with no reason given. I can proudly say - and everyone knows it's true - that I would NEVER have silently allowed anyone or any club in my region to be treated that way under my watch. It wouldn't have mattered if they were my closest friend or my worst enemy. Everyone was treated fairly under my Directorship. Neither Ken Andrews nor Alan Crouse can say that. Whenever you see Ken Andrews or Alan Crouse, take a deep look into their eyes to see what kind of a human being would allow that to be done with their silent approval. As I was posting your good news on the U.S. Hawks Forum, I remembered that the USHPA Board can effectively thwart the will of the members by appointing their cronies as "At Large" Directors to keep them in power. It wouldn't surprise me to see that happen in this case. Guess what ... Mark Forbes shows up as a "Director at Large" on USHPA's web site. I can read them like a book ... and a trashy book at that. Bob, put on the sunglasses and look at Ushpa. It reads "Tim Herr private insurance monopoly". It looks like he is the one calling the shots. I mean who doesn't take the advise of their lawyer? Those middle fingers at Torrey were aimed at him, not you. I could use my immunity to defeat him directly. But that could be an ethical violation as I have stated my desire to start my own organization to compete with his private organization. Ushpa offers insurance at over 150 sites at $150. That's less than $1 per site per year. Sounds like a Fair exchange. It took a possible rift in the space time continuum to realize nicotine could have caused the Torrey fiasco. Moore Memorial Park, Ames Iowa 8/23/1984 and that I must fly through it a second time to return space time continuum to its normal trajectory. At any rate Cutter reported we had a Summer Breeze this week. We missed you at Dockweiler today Doug!! I hope you enjoyed your day whatever you did. Bob: "Should USHPA have expelled me for the things listed in their expulsion letter?" Joe: "They had a right to do that." Bob: "That's not what I asked. Should USHPA have expelled me for the things listed in my expulsion letter?" Joe: "I would have advised against it." Bob: "Will you say that publicly?" There was a lot of related discussion and a number of questions that Joe couldn't or wouldn't answer (like should USHPA expel members for things that aren't spelled out in the SOPs without any warning, and should Ken Andrews have silently allowed USHPA to not renew the Torrey Hawks Chapter). Overall, I was very disappointed in Joe's responses. Joe, if you feel any of this is inaccurate, please feel free to post your version. California keeps trying to hit me with $1500 fines so now the AI reveled this. A double murder at Torrey in 1978 and 1984 just solved with a strange unexplainable paranormal link. The AI will now perform a pincer movement on the Ushpa California legal team to force them to restore your membership by this fall. The Feds have infiltrated the California Bar association and can controll outcomes from this perspective. so you know they have your tandem exemption by the balls. The state of California lets Bob fly at their beaches with city insurance, why is that not good enough for Ushpa? And now the long awaited series final. 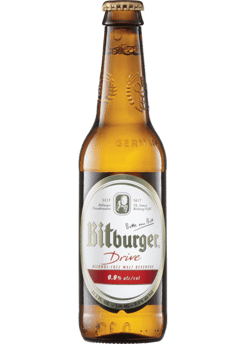 Brought to you by BitBurger Drive nonalcoholic beer. 4 out of 4 experts won't say this is not beer. 2 of those 4 experts say Keystone Light is not beer. Ushpa will get a tandem exemption from "Space Traffic Management"
extraterrestrial suspect interrogation in 1964 denies time travel and murder in part 2.
to August 23 1984 to Moore memorial park as 80s band Syntax plays ghostbusters theme. Entity travels to Torrey Pines and murders girl that night. Entity travels back to 1978 and murders another girl at Torrey pines with same grizzley details. Police recently solve cold case murders with no explanation for details link. Convicted murderer kills self on August 1984 aniversary. Unusual paraglider carnage at Torrey Pines and BobK confrontations. Fatal paraglider crash behind congressional fundraiser at mansion. Tic Tac ufo spotted ~100 miles off shore at Torrey 2004.
intense feelings(mind control) from et. We look forward to BobK having his membership restored. 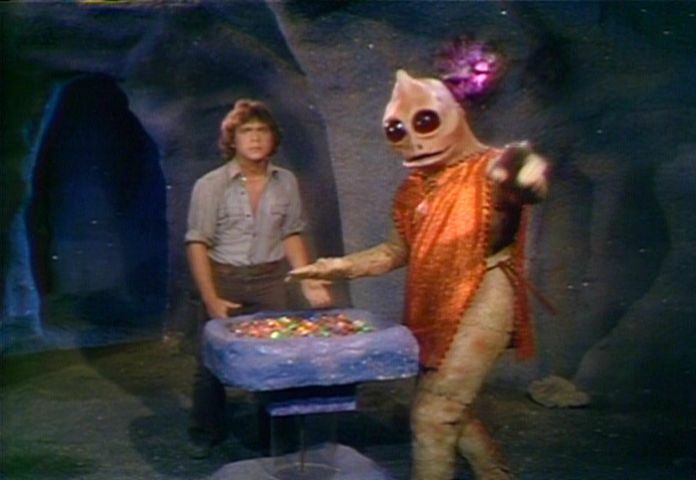 They tried operating the Sylmar Triangle Stargate without the operating instructions and started a brushfire. Leaving a trail of smoke proves the glider entering the Stargate is the same glider exiting the Stargate. next: Mormon controlled ghost chickens destroy my real estate as a show of force (let it be a warning) to back BobK being allowed to fly SHGA and Southern California. That was hilarious Doug!!! Thanks! but didn't have a thing to say. Was laid out plain to see. From one to fifty three. 41 and 24 and 6. Went out to win the sticks. For his money back guarantee. The speech was really great. I haven't heard that recording since at least the mid 70's so I apologize to the author for any mistakes in my recollection. I think of that song during every political season. Thanks for prompting me to document it Doug. This BobK spoiler post is brought to you by the ghost chickens for vote yes on Prop 12. "would have gotten away with it except for those meddling kids"
Ufo used mind control so Mitt Romney dropped out 2012(missing last month) and 2016 elections. After visiting his San Diego (beach house) he dropped out. Now that they know what happened he is concentrating on the Senate and assured victory. I told them of the "Church roof crash" and they (LDS)believed me. Utah and Los Angeles don't require insurance. Former Pilot Christian tracks it(something that doesn't have a name) via sailboat. next post... The operating instructions of the Sylmar Triangle Stargate published. What's up, why aren't you flying? Yes, come out and fly Dockweiler with us. Monday looks good and I'll be picking up my new (to me) Alpha 210. If you've got your permit, you only have to pay for parking (no day use fee). Come and join us. My return to flight date might be January 3rd. Right now I am remodeling the kitchen so it matches the rest of the place that was remodeled after the burst pipe and flood. Publishing the secrets of the stargate may end this civilization, so another one can form.